Hey everyone! How are you today?? Did you enjoy the August Nail Artist of the Month post? Thank you again, Rebecca!!! Today, I have taken over my June Nail Artist of the Month, Tuxarina's blog for the day! Kelly contacted me a few weeks ago asking to be a guest blogger since she was going to be out of town this week. How could I say no after she created so an amazing post over here! I looked at her post here in June, and took some inspiration from it and tried some nail art I never thought I could do! 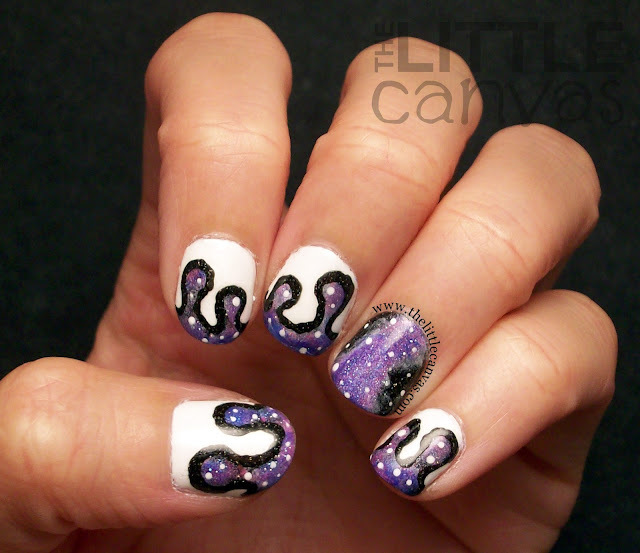 Head on over to Tuxarina to see the full post and what colors I used to get these awesome galaxy drip nails!